Our boat hardtops are fully customizable with options such as wind generator mounts, 250lbs or 300lbs davits / cranes and many more customized designs. 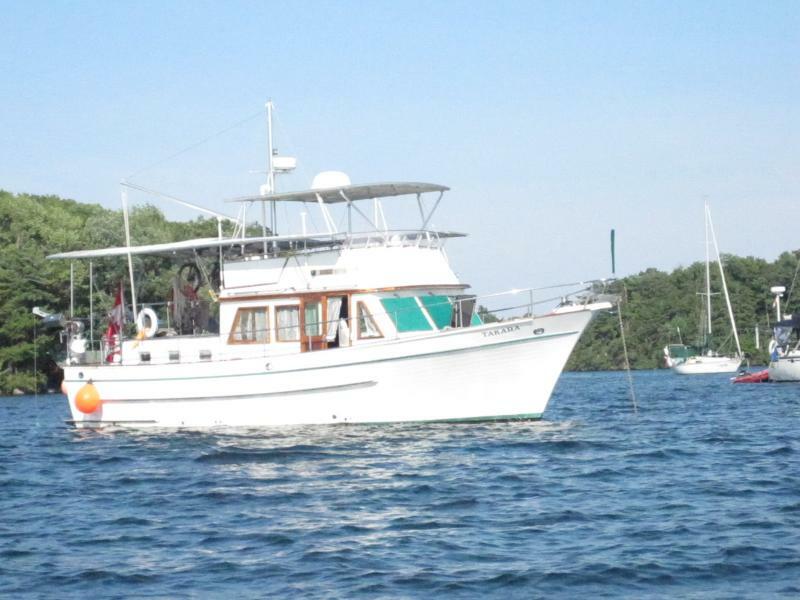 Every boat is different, even the same model of boat from year to year differs. Because of this, there is no easy “system in-a-box” solution for boat hardtops – Don’t be fooled! ‘Pre-Fab’ systems are a thing of the past. It is impossible to get a good-looking hardtop system to fit your boat when you don’t have any decision on the dimensions. Atkins & Hoyle Ltd. is simply the best because there is no stronger, more customizable system in the world. Every other company cuts corners, and tries to save money by inexpensively bending and welding their systems together, not Atkins & Hoyle. “My hardtop has been installed for more than 5 years, and has seen some pretty rough weather. Even with the wind gusting at 40+knots, I had no concerns about the strength of the system” – Eric. 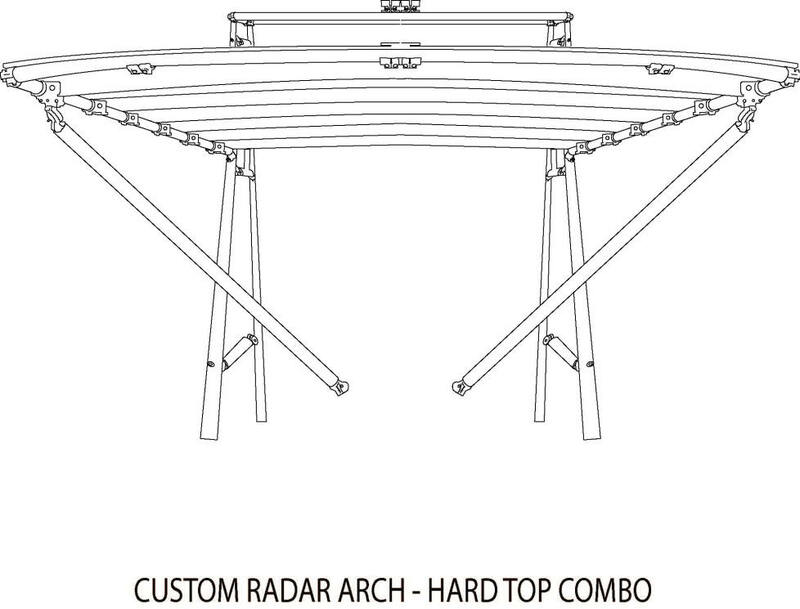 Every one of our hardtop systems is custom for your boat given the measurements. Download the “Easy How-to Measure” guide attached to the Hardtops Measurement Form, which makes fitting a custom hardtop to your boat hassle-free. Simply print off the “Hardtops Measurement Form”, email or fax us a copy, and receive your free quote within a day! And if that is not easy enough for you if you live within 50km of us we offer on-site measurement from our trained professionals. So if you are in the Napanee, Belleville, or Kingston area – we would be happy to come down to your boat to help measure. Our standard boat hardtops are built off an arch type system, which is a fully modular design for a custom fit. This is great when you are looking for a duel system to not only keep the sun and rain off the cockpit or deck, but also something, which can be used for later additions such as radar etc. Bright polished and clear anodized aluminum is used to the support white fiberglass top, build to any size. We have yet to find a boat this doesn’t look good on! Atkins & Hoyle produces the highest quality product, no welding means the strongest design in the world; everything is joined together using our proprietary AlMag 35 castings, which allow for full adjustability. Our company holds a keystone role in the economy. As part of a rare breed, we are one of a few remaining manufacturers who does not outsource any labor overseas. This keeps North American families employed during the more difficult times – this is something we feel strongly about. Our universal and custom design makes mounting our hardtop on any boat easy. We are the manufacturer, we do not install. Assembly and installation happens on site. Shipping and handling will be added to your order depending where you boat. We ship worldwide.